The trailer of Shree Narayan Singh's much anticipated social drama - Batti Gul Meter Chalu was finally launched earlier today. Starring Shahid Kapoor, Shraddha Kapoor, Yami Gautam and Divyendu Sharma in the lead; the film is a social drama based in Northern India. The main plot focuses on electricity woes and theft, faced by the common man in the country. Batti Gul Meter Chalu is based in Uttarakhand, where the locals face power cut and electricity theft almost everyday. 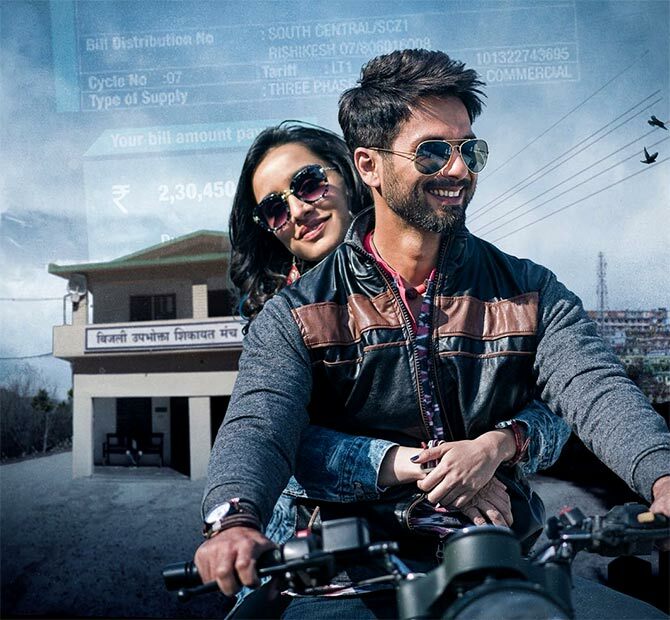 The three friends [played by Shahid, Shraddha and Divyendu] make merry and have fun, until things take a crucial turn and change their lives forever. Kapoor is seen playing a lawyer, whose life is all hunky dory [one can also see some shades of corruption in the initial stage of his character], until things go awry in his friend's life, thanks to a huge electricity bill slapped on the latter's face. Unable to make ends meet or find a solution, the friend [Sharma] commits suicide, and that is when Kapoor decides to take matters in his own hands, in order to teach the authorities a lesson. While the film largely focuses on a social issue, it has some light hearted moments and a good dose of entertainment as well. We felt the trailer is hard hitting, and manages to impress with every frame. It pretty much presents the main crux of the film, and creates curiosity. The characters look fresh. One could see a pattern set by colours in the trailer, ranging from myriad colours to monochrome tones towards the end. We like the cinematography, which brings the scenic locales of Uttarakhand to life. From whatever we saw during the 3 min long trailer, it was evident that Kapoor is all set to impress with yet another brilliant performance. Yet again, the actor is seen sporting a fresh look, with a different personality and new dialect. We see him showcase an impressive range of emotions in a short span, which speaks volumes about his fabulous calibre as an actor. Needless to say, we are sure the actor will deliver a memorable performance, and impress us with his act. Shraddha plays the feisty Lalita, while Yami would be seen as a lawyer in the film. Both make a mark with their respective characters. Divyendu's pivotal character is something to watch out for, and the actor stands out with his act as well! Helmed by Singh [whose last film - Toilet: Ek Prem Katha was a smash hit of 2017], Batti Gul Meter Chalu promises to create an impact with a strong message, without being too preachy, thanks to some light heartedness in the form of dance numbers and humour. The screenplay and dialogues have been written by Sidharth - Garima, while the film is based on 'Roshni' written by Vipul Rawal [who had earlier written the Akshay Kumar starrer Rustom]. Anu Malik has been roped in to compose the music of this film, making it a comeback of sorts for the 'Shahid - Anu' combo after a long time. The film has been largely shot in Uttarakhand. BGMC also brings the 'Haider' jodi of Shahid and Shraddha together after four years. 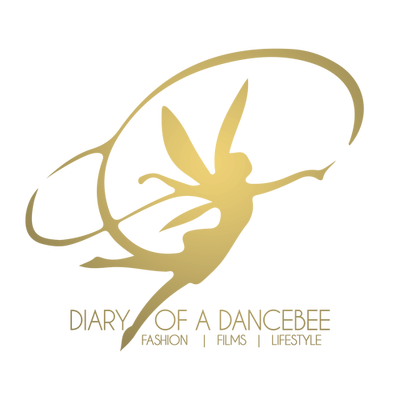 After a few initial hurdles during the early stage of production, the film got rolling as soon as Bhushan Kumar's T-Series stepped in to support and release the film. With the trailer crossing several thousand views every minute and the title trending on social media, the film has managed to create a good buzz and excitement. 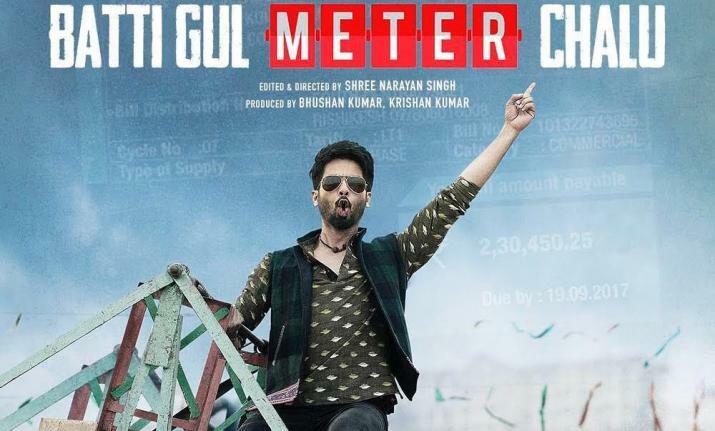 Batti Gul Meter Chalu is scheduled to release on September 21, 2018. Well, September looks 'power'ful already! What are your thoughts on the BGMC trailer?